Love will be in the air and in your bedroom when you decorate with these custom love pillowcases. 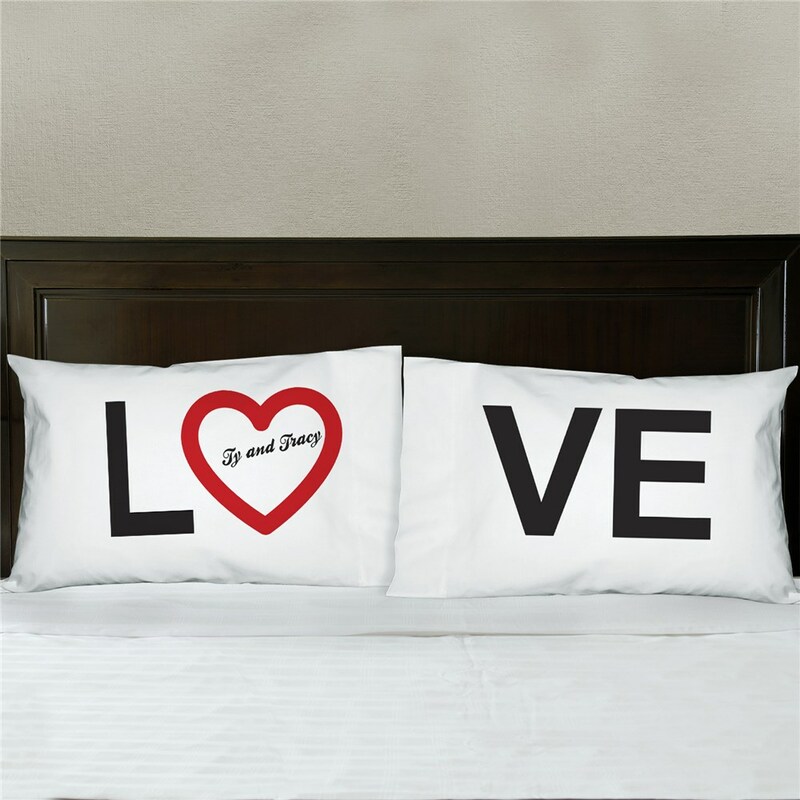 Your personalized pillowcase set spells out the word LOVE, and any two lovebirds' names will go in the heart to make these a one-of-a-kind set. Perfect for creating a mood for love on Valentine's Day or any romantic day. As in previous orders from your company, I was completely satisfied with the ease of web site ordering & the delivered product. I am a frequent, happy customer. These personalized gifts are always a hit at bridal showers ! Loved this, just didn't like the material used... It's a bit rough and not great quality! However, it looks great as decor!